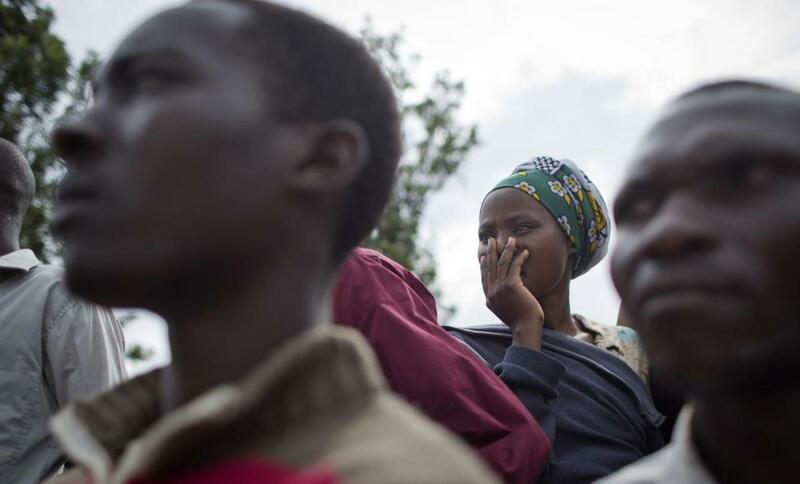 A woman gestured as she listened to genocide memories and observed a flame of remembrance at a March 27 ceremony in the town of Kirehe in eastern Rwanda. Twenty years ago tonight, the assassination of Rwanda’s president set in motion the most gruesomely efficient genocide in modern history. The anniversary reminds us of the brutality of those 100 days — 800,000 people killed because of their Tutsi ethnicity, or because they stood up for their neighbors. But we are also reminded of the less-known stories of the extraordinary women who took the lead in rescuing Rwandan society over the past two decades. Today, President Paul Kagame faces criticism from some quarters for his leadership style, but there is no denying that Rwanda is better off economically than where it was in 1994 — and, with 8 percent growth each year, making further progress at a pace envied by many of its neighbors. Millions have been lifted out of poverty. This success, in many ways, was driven by women. They seized the opportunity to turn catastrophe into an African success story, with domestic ingenuity unrivaled on the continent. Doing so, they set an example that offers powerful lessons for other conflicts. Seated in the living room of her red brick house in Kigali, the capital — her husband’s army portrait over her shoulder and her children peeking through the door — a woman in a fuchsia suit named Anne Marie Musabyemungu told me her story. Her willingness to put herself at great risk and her triumph over devastating adversity are essential pillars in Rwanda’s rebuilding. That means establishing peace that’s not merely a standoff with rebels just across the border, but a sense of shared security that enables former rivals to thrive. Workers walked the construction site of the Kigali Conference Centre on March 17. 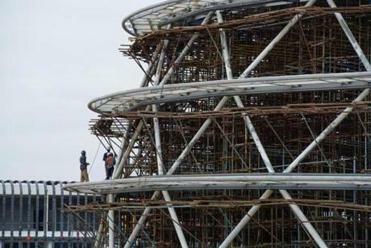 Rwanda’s economy has prompted a building boom. Musabyemungu was working for the government when the bloodshed began. Her husband had been an officer in the national army, some of whose members were conspiring with local militias to carry out the massacres in the name of Hutu Power. Musabyemungu and her 2-year-old daughter were protected from the spiraling violence by their Hutu ethnicity. But that safety made her feel vulnerable as the Tutsi-led Rwandan Patriotic Front swept across the country and ended the carnage. She fled to a teeming refugee camp in eastern Congo, unsure whether the new government would retaliate against Hutus as a group. The government must recognize the importance of sharing power, the former general manager of the Hotel Milles Collines writes. Two years later, Musabyemungu decided to leave behind disease and despair within the camp to return home. With two small children and a third on the way, she quietly settled into a new life with the help of the government. But her husband chose to move deeper into the Congo rainforest, joining the insurgent faction spawned by the former government’s soldiers, including some of the genocidaires. He eventually became their chief of intelligence. Until 2003, Musabyemungu says, she “lived as a widow.” While teaching school, she deepened her involvement in women’s empowerment, inspired by radio broadcasts about the new United Nations Security Council Resolution 1325, which called for women’s greater leadership to advance global stability. After meeting some of her husband’s former comrades who had been captured and reintegrated in Rwanda, she set off on a gutsy but treacherous mission: to convince fighters still in Congo to come home — starting with her husband. Consulting with security authorities of the new Rwandan government, she embarked on a “suicide mission,” as she calls it. Musabyemungu trekked into the jungle. She spent weeks finding her husband and persuading him to defect. “I told him we needed to be an example,” she says — an example of what the country could be if Rwandans broke the cycle of destruction. With the support of the military, just weeks after her successful mission to persuade her husband to leave the insurgency, Musabyemungu returned to the rebel encampment in Congo, this time to meet with their top commander. In November 2003, General Paul Rwarakabije returned home with 400 of his men and their equipment. Like Musabyemungu’s husband, Rwarakabije integrated into the new national army, where he now is the head of the prison system. Musabyemungu went on to serve a five-year parliamentary term. As she and her husband settled into normal life in Kigali, together for the first time in nearly a decade, Musabyemungu gave birth to two more boys. The family then took in two daughters and a son, Tutsi orphans whose parents were murdered in the genocide. That act is startlingly common in Rwanda, representative of a dozen different ways women have healed their country — for both intimate and practical reasons — as they’ve moved into post-war leadership. Crashing through the world record, women have been elected to 64 percent of Rwanda’s parliamentary seats; they hold half of the Supreme Court judgeships and several key cabinet positions. In formal as well as informal leadership positions, they’ve ignored barriers and constructed bridges. Despite indescribable personal suffering, they’ve stabilized their country, helping forge a more socially just, environmentally enlightened, and economically robust track. Anne Marie Musabyemungu is living proof. Swanee Hunt, a former US ambassador, is the Eleanor Roosevelt Lecturer in Public Policy at Harvard University’s Kennedy School of Government and the founder and chair of the Washington, D.C.-based Institute for Inclusive Security. Her book “Rwandan Women Rising” will be published in 2015 by Duke University Press.